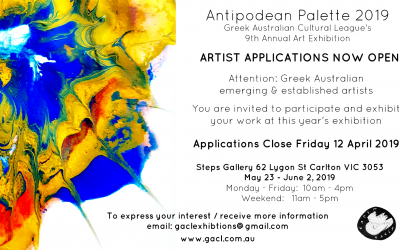 The Greek-Australian Cultural League is pleased to announce that this year the Antipodean Palette Group Exhibition will be organised during August 2016 and invites artists to submit their works. 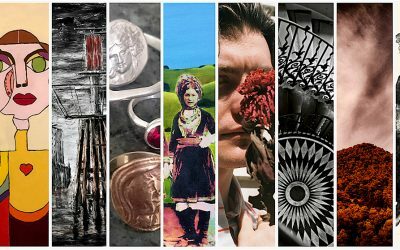 This event celebrates the diverse works of artists within the Greek Australian community. 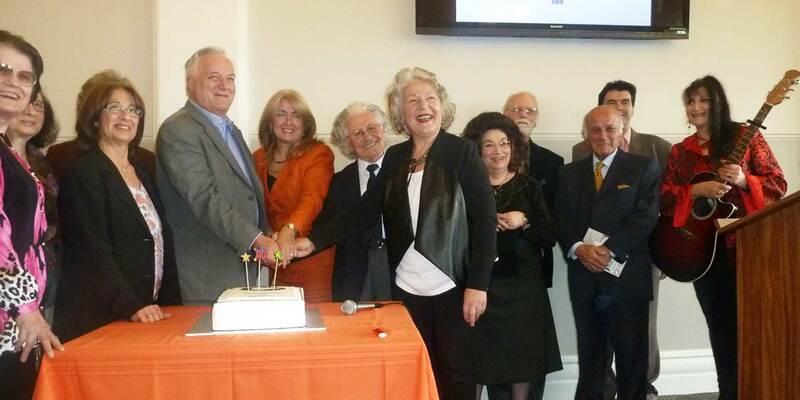 The Administrative Committee of the Greek-Australian Cultural League would like to welcome you to our new website, where you will find information about our organisation and our activities. 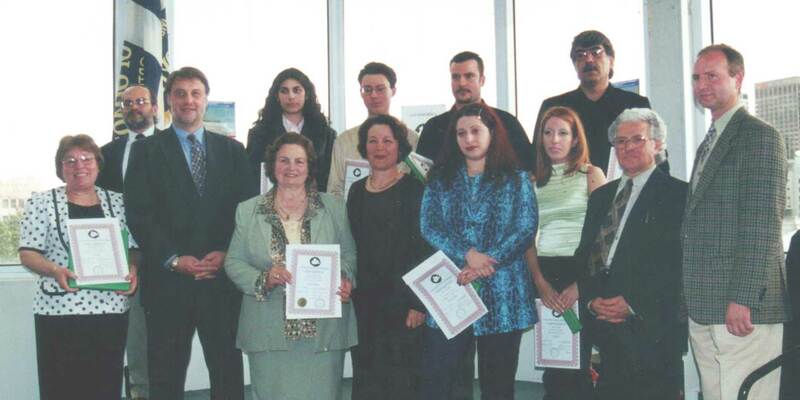 The Greek-Australian Cultural League’s aims and objectives are the advancement, support and dissemination of the creative endeavours of Greek-Australian writers and artists . 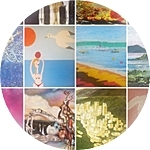 GACL organises various activities including the “Antipodean Palette”, book launches, literary competitions, literary readings, musical events and publish the bi-lingual periodical “Antipodes”. 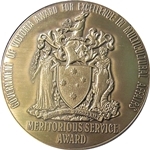 GACL was awarded the Medal of Multiculturalism in December 2006 at the ceremony of Victoria’s Awards for Excellence in Multicultural Affairs Meritorious Service to the Community. 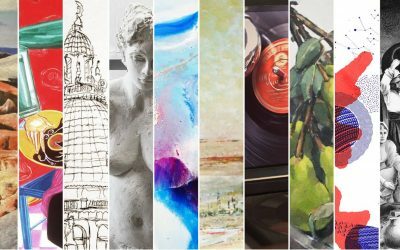 Every year GACL hosts its annual art exhibition “Antipodean Palette”. 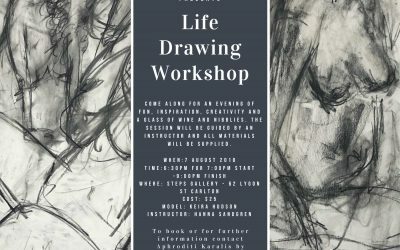 The exhibition showcases the works of various Greek Australian artists in a range of media such as painting, sculpture, photography, digital prints, computer art and collage. The exhibition aims to support the visual arts and to foster a spirit of cooperation amongst artists from various disciplines. 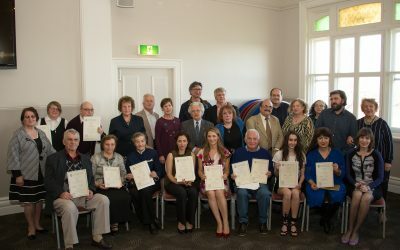 The GACL organises every year the Literary Competition whose results are announced during the launch of annual “Antipodes” periodical. The competition includes works written in the Greek or English language in the following categories: Poetry, Short Story and One Act Theatrical Play. 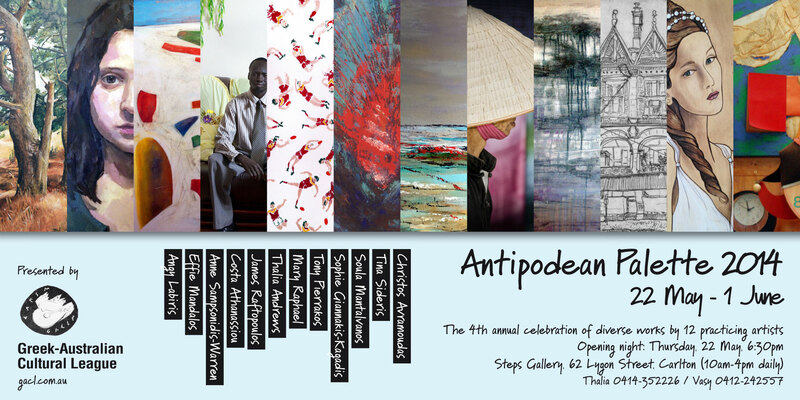 All first prize winning works in each category of the competition are published in the periodical “Antipodes”. 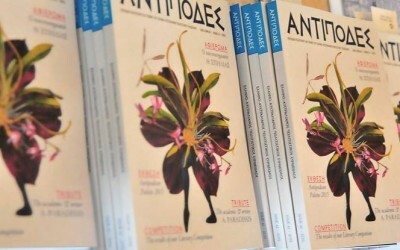 The annual literary periodical «Antipodes» is launched in October. Its edition includes works submitted by GACL members, such as poems, short stories, studies, essays, book reviews and οther literary works, in Greek and English. Submitted works, in order to be published in the periodical must be approved by the Editorial Committee. All material submitted must not have been published previously and is the original work of the author.